· Co-Sponsors: Integrity Initiative -- Ehem! 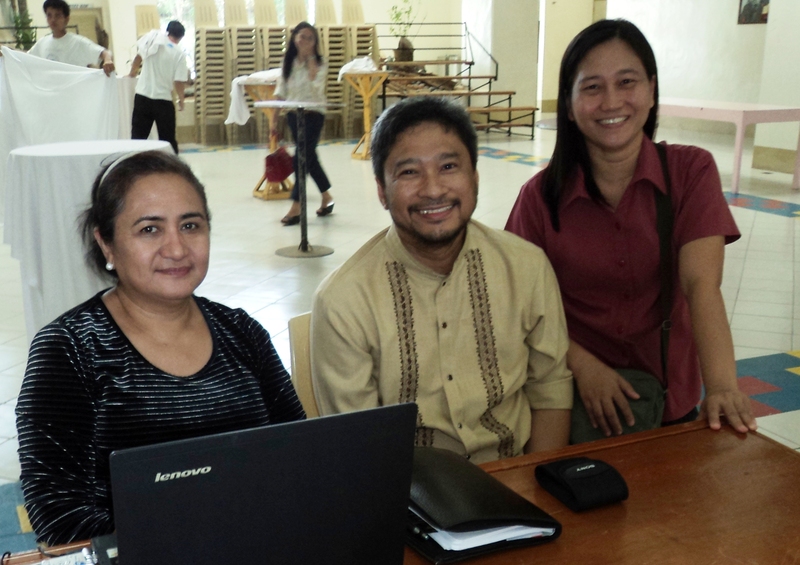 USAID & Projects: iPro-MSI Integrity Project – ABA Rule of Law Initiative -- LINC-EG -- AIM Hills Program on Governance -- Transparency & Accountability Network (TAN) -- Ateneo de Manila University – University of the East. 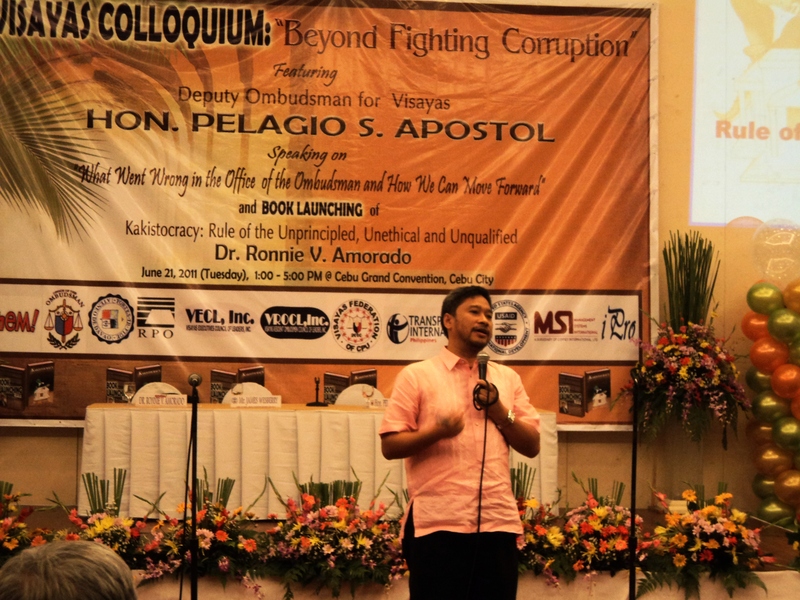 The primary mandate of the Office of the Ombudsman as the chief anti-corruption agency of the Philippines, is to detect, investigate, and prosecute corruption. 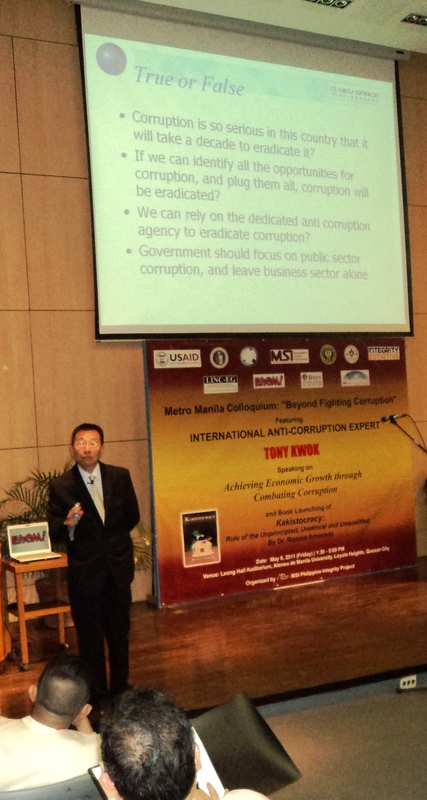 If it is effective in its mission, the Ombudsman can make corruption a high-risk and low-reward activity. It will serve to deter corruption, pave the way for effective corruption prevention measures, improve the business environment and investment climate, and spur development and economic growth. 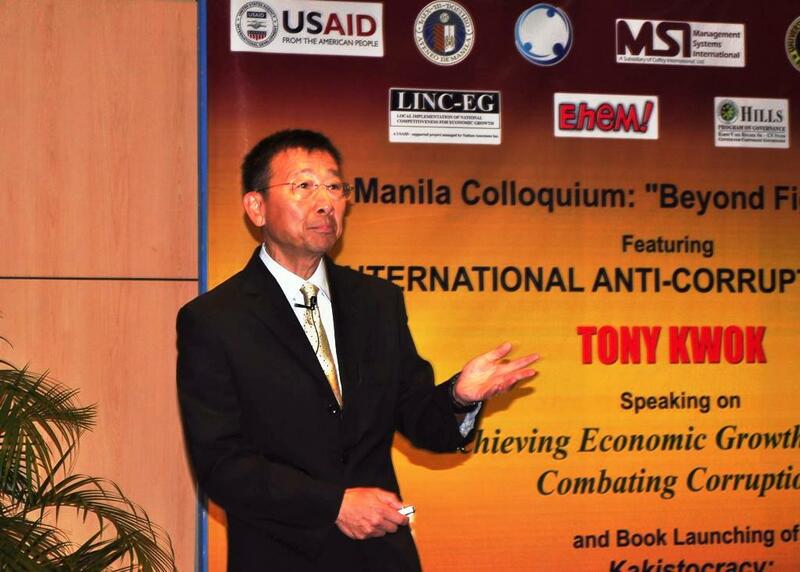 Mr. Kwok emphasized that the lack of effectiveness of the Ombudsman is systemic in nature. 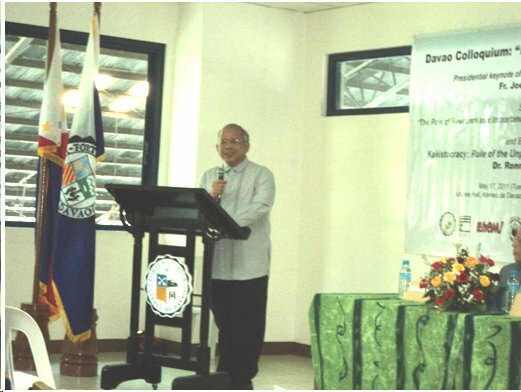 He said that the Ombudsman as an institution needs to be reformed together with other key institutions in the legal and judicial system. 1. Appoint an Ombudsman with a strong sense of mission, proven integrity, and demonstrated expertise in criminal investigation or prosecution. a. The Ombudsman could be authorized to become a full-pledged law enforcement agency with standard powers of investigation, i.e. make arrests and search, examine bank accounts, freeze assets and conduct covert surveillance and undercover operations. Some of these investigative powers should be authorized through court warrants. b. An accountability system could be established to provide external and internal oversight to the Ombudsman. This could include automatic review of decisions to stop investigations and prosecutions, as well as excessive delays in responding to public complaints. 3. Strengthen the capacity of other investigative bodies, such as the Anti-Money Laundering Council and the Commission on Audit, to gather the necessary evidence to ensure effective prosecution. 4. Review the Solana Covenant, which was a memorandum of understanding signed in 2004 amongst heads of the independent accountability institutions, i.e. 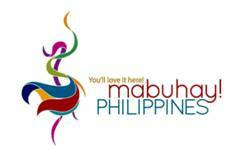 the Ombudsman, the Commission of Audit and the Civil Services Commission to strengthen partnership and cooperation. The Covenant could be extended to other independent accountability institutions. a. Based on some studies before, the average time span for a case in the Sandiganbayan from the start to the promulgation of decision is 6.6 years. 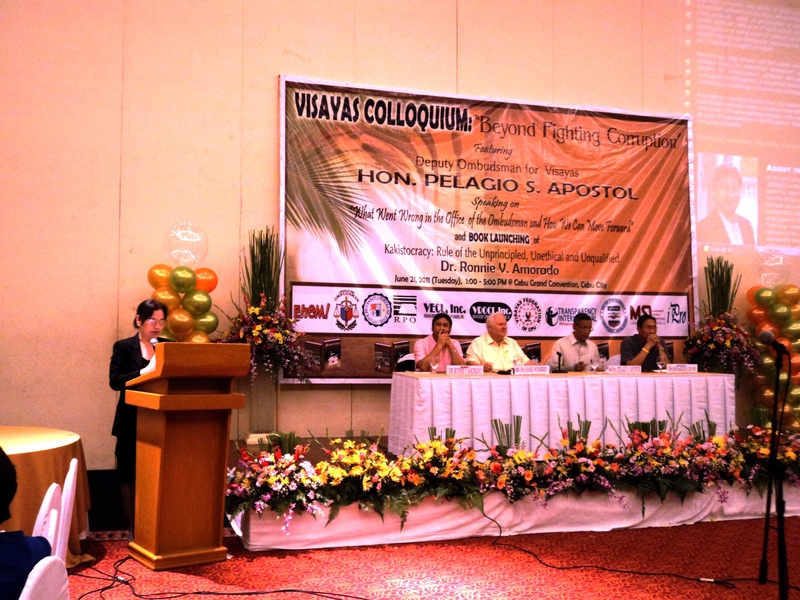 The Government could triple the divisions in the Sandiganbayan to cut down the severe delays in adjudicating cases. b. The Government could adopt a policy of continuous trials to further enhance the efficiency of the courts. c. The Government could adopt a service guarantee in its judicial process. 6. Government agencies could publish their annual anti-corruption action plans, with specific targets and measurable indicators to allow for public monitoring. 7. Establish a high-level tripartite Government-Business-Civil Society Council on Integrity and Development to remove regulatory obstacles that provide incentives for corruption, improve delivery of public services, and help demonstrate policy credibility. 8. Government could actively support the Integrity Initiative in strengthening ethical standards in business and society in the Philippines. 9. Set aside 0.3% of government budget for anti-corruption reforms and to provide adequate funding for the above activities. The Cabinet Cluster on Anti-Corruption, Accountability, Transparency and Participatory Governance could serve as a steering committee that could advise the President on the utilization of the funds. 10. 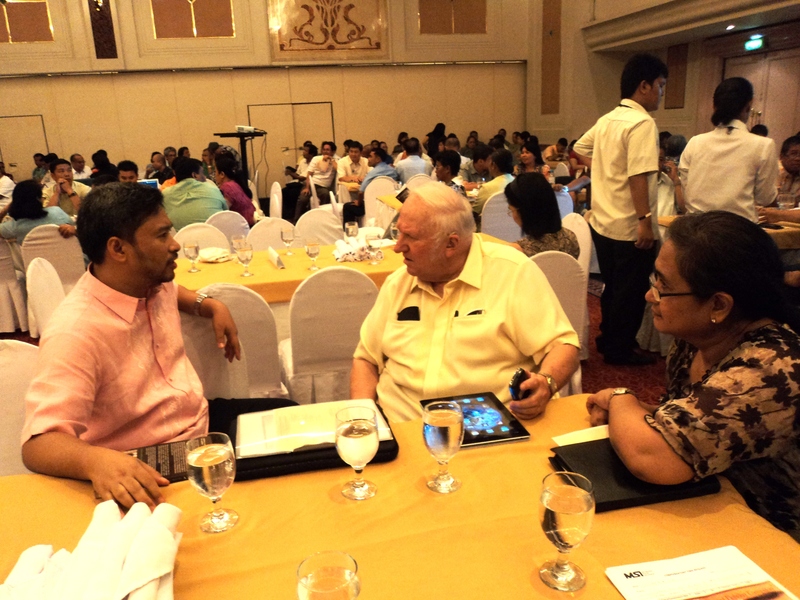 Coordinate closely with the international community, such as the Philippine Development Forum Working Group on Governance and Anti-Corruption, to ensure continuing high-level attention and international cooperation in advancing the anti-corruption agenda and implementing various reforms. 1. The three important roles of the university -- instruction, research, and service to the community. 2. Beyond professional formation, the university has a more fundamental task and that is to bring the country’s social issues in the classrooms and not just let these concerns sit in the outreach office of the university. 3. Students must be taught how to respond to the society’s ills with indignation, disgust and moral outrage to eventually form in them their commitment to change. 4. It is important to have a rational response to the country’s issues, particularly on corruption in order to identify what the real problems are, where they came from and what can be done to solve them. 5. 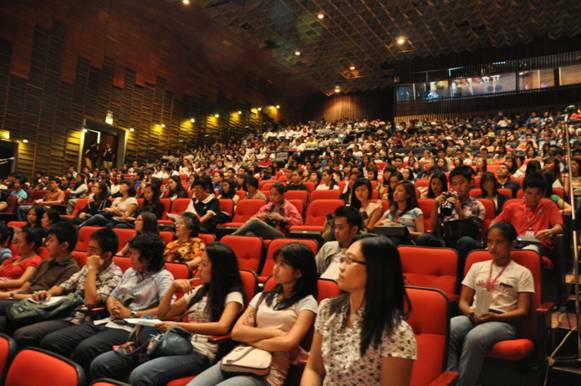 As far as social involvement is concerned, the university must make its contribution against corruption, first and foremost, in the products that the university produces. 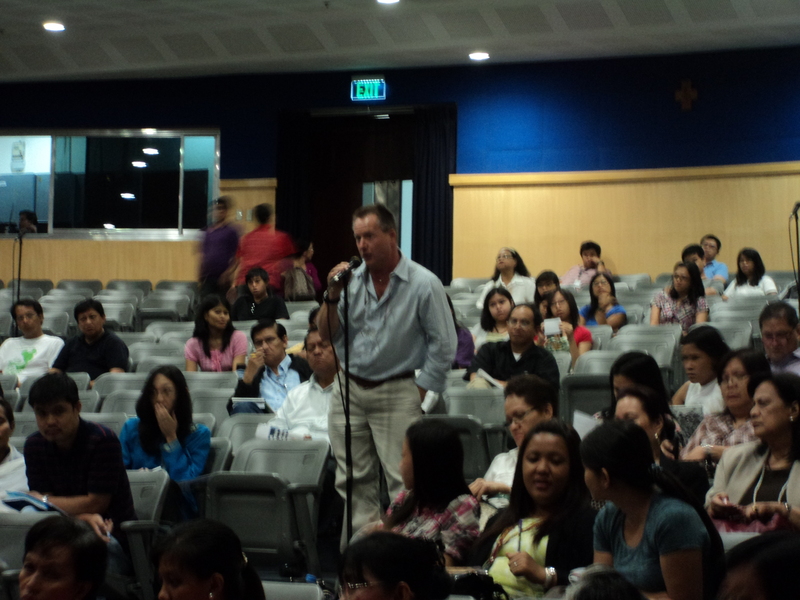 He admitted that the academe has not done well enough in this particular role. 6. There is a need for the schools to reexamine the way they teach and how they form people. Corrupt people are coming from the best schools in the country. 7. 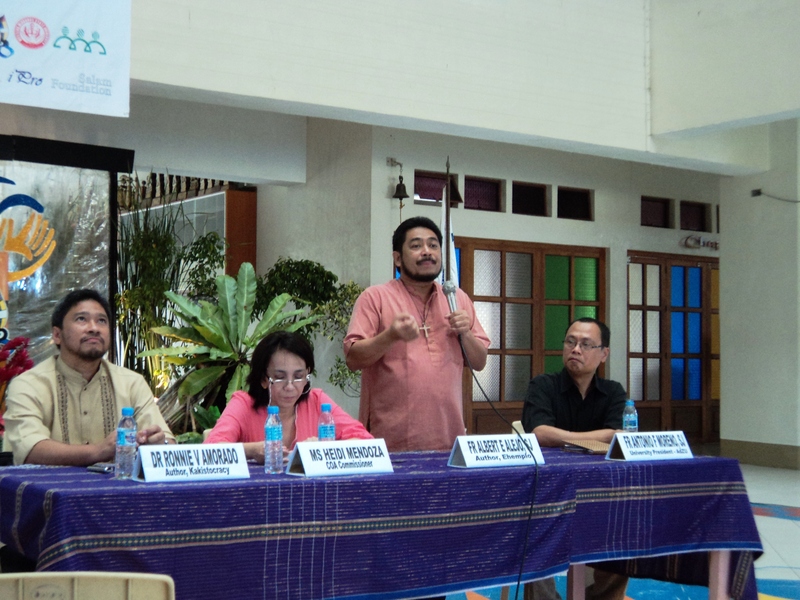 Stressed the importance of continuing the academe’s ongoing partnership with NGOs, to be able to maintain their contact with the people whom they have the duty to serve. 8. 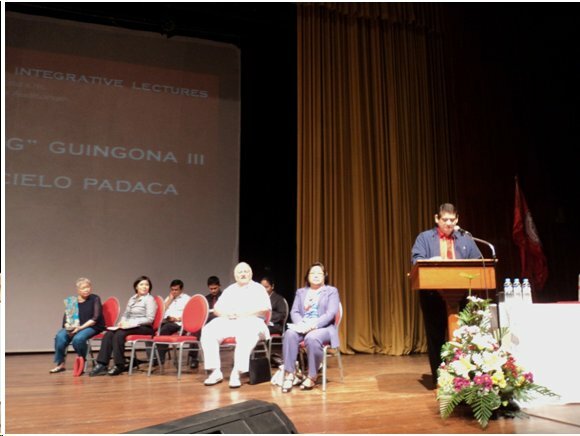 Hopes that the university does not abet the kakistocracy and that it would help in the introduction of principled leaders for a humane Philippine society. 1. The plea bargaining agreement entered into by the OMB prosecutors with Gen. Garcia and approved by the Sandiganbayan was a classic example of kakistocracy. 2. 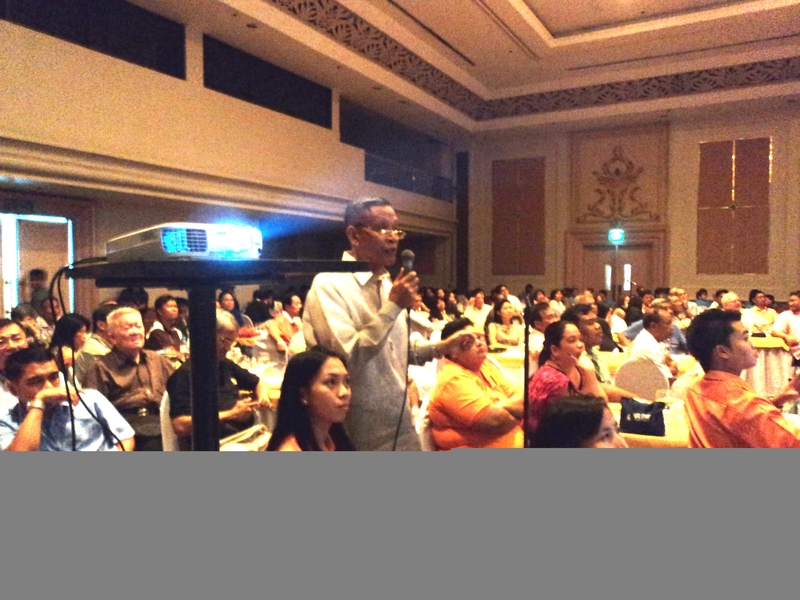 During the early talks on the plea bargaining agreement, Gen. Garcia offered to return the whole amount of Php303M to the government. The counsel of Gen. Garcia, Atty. Constantino de Jesus spoke to DO Monteroso in 2005 and presented the proposal and Garcia’ only concession was for his wife and children to be excluded from the information. But OMB rejected the offer because they know they had a strong case and they wanted to show the public that the OMB was serious in its fight against graft and corruption. 3. DO Monteroso’s testimony would be very significant should a motion for reconsideration be filed. · Number of Attendees: A total of 147 people signed in for the event but a lot more came a little late who were not able to register. 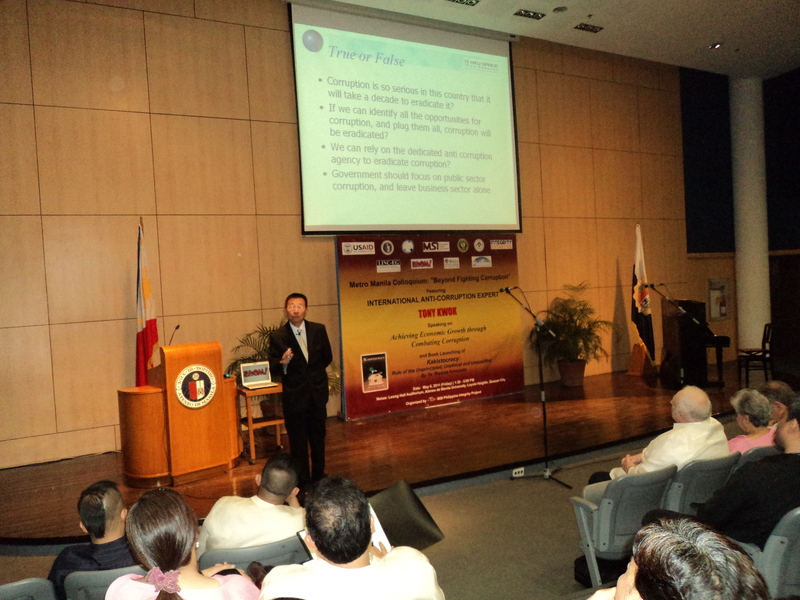 The attendees were from various government agencies, non-government organizations (NGOs), academe, business, media and even from the military. 1. A case of gross mismanagement and incompetence. A troubled leadership destined to crumble (and led to the impeachment of Merceditas N. Gutierrez). 2. Centralized all cases in the Central Office, resulting in the massive delays of resolution of cases and the very unsatisfactory performance of the entire Office of the Ombudsman. However, top officials in the Ombudsman continued to deny that there was a serious delay, until the resignation of Gutierrez. 3. Effectively used the Tower of Babel - confused the officials, isolated the Deputy Ombudsman (DO) for Visayas and Mindanao by divide-and-rule tactic. 4. Played favorites among junior officials (through foreign travels, etc), especially Assistant Ombudsmen (AOs) who also undermined their respective DOs, destroying the chain of command, procedures and regulations in the office. 5. DOs were deliberately never made part of important decision-making in the office (including big cases, promotions of personnel, foreign travels, staff consultations among others). 6. Changed the membership of the Internal Affairs Board (DOs mandated to sit in the board) to suit/cater to the plans of the "favorite" officials despite the protests of the DOs. 1. First, officials and employees of the Office of the Ombudsman should recognize - rather than deny - the problems of the institution. These are the very reasons that led to the losing credibility of the office, and the eventual impeachment of Gutierrez. Admission is the first step of reform! 2. Prioritize unresolved national scandals and give updates on the status of their cases. 3. 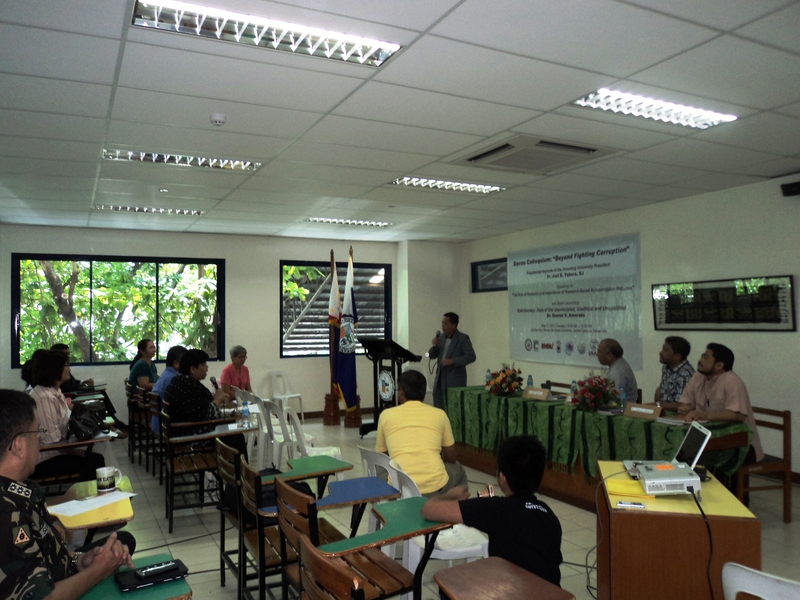 Improve linkages/partnership with decent partners in government (e.g. AROGAs) and civil society anticorruption groups. 4. 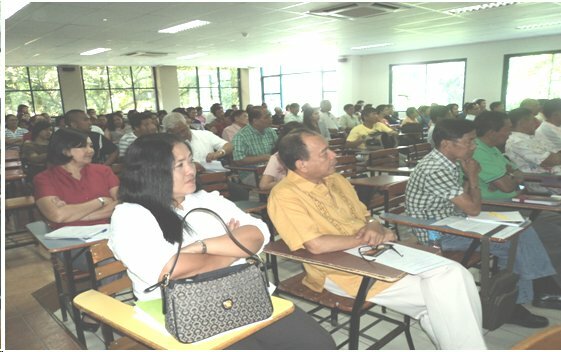 Convene an Ombudsman Reform Study Group and consolidate all research recommendations on improving the Office of the Ombudsman from various academic and private sector groups. 5. Improve public relations and be opened to public criticisms and dialogue. 6. 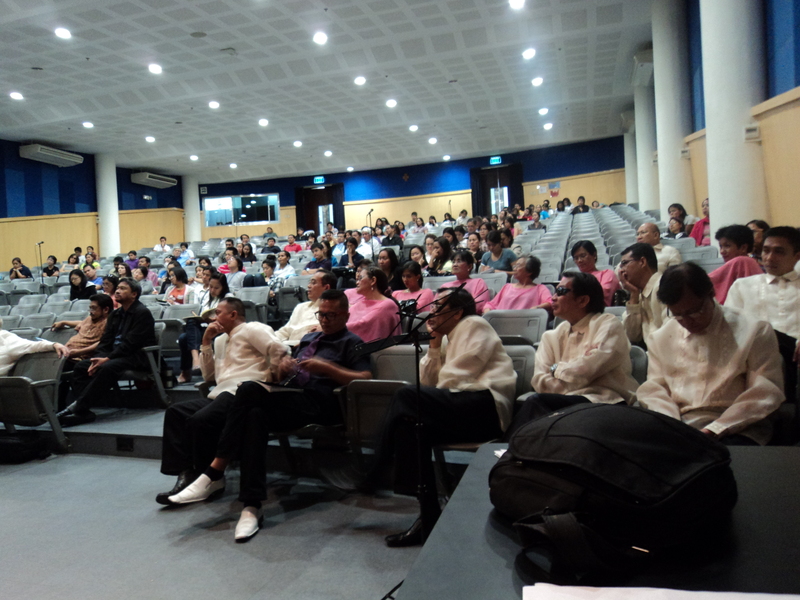 Put right people to the right job, and capacitate them (review midnight appointments of former Ombudsman Gutierrez). 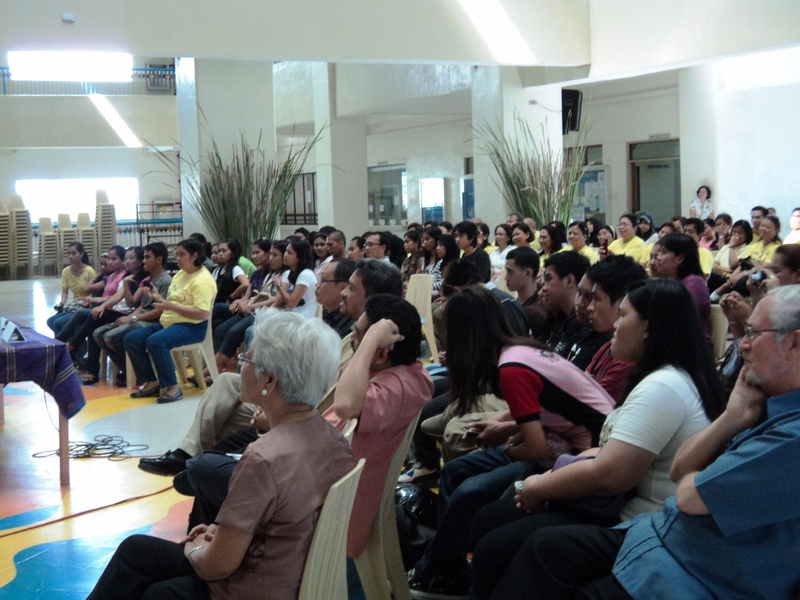 · Number of Attendees: This has so far the biggest number of participants with 329. 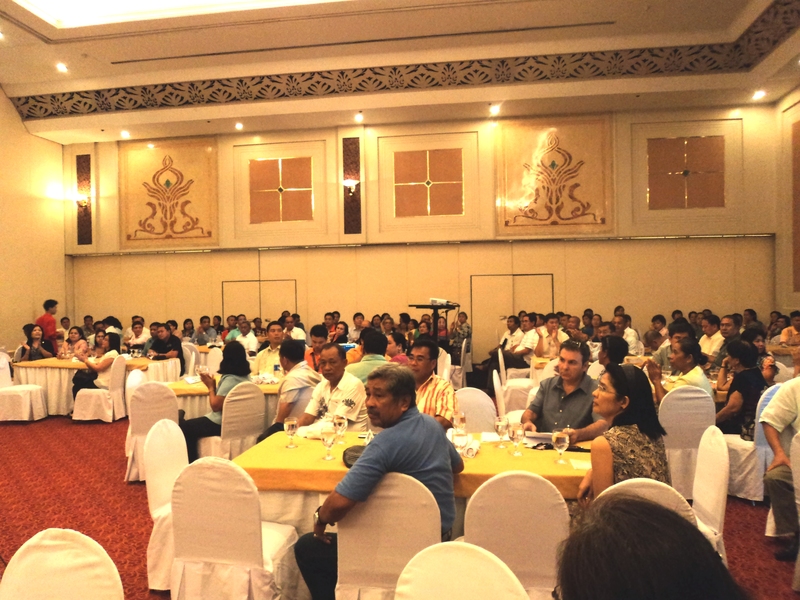 Various local government units and national agencies all over the Visayas were represented, mostly by high ranking officials. 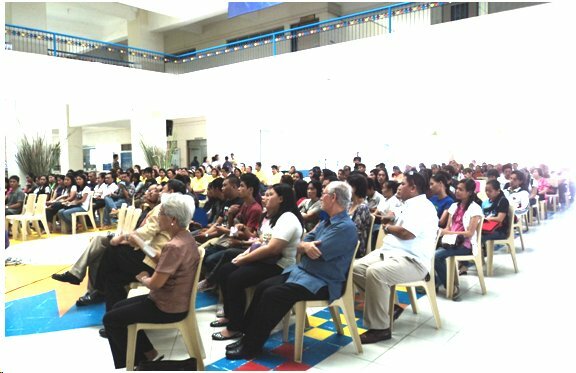 There were also representatives from the academe, NGOs, youth organizations, judiciary, media and other sectors of society. 1. Recognize the complementation of values formation and systems reforms; no need to isolate one from the other. Do not force the issue of which one is more important. They are both important and indispensable. Education is always a component in any reform initiative. And systems provide the sustainability. 2. Curriculum integration of integrity development and anticorruption reforms are fundamental to the formation of students, but this is not given special attention. 3. Most corruption issues and anticorruption initiatives directed at the government agencies or corporations, but not much on schools. 4. Corruption in the schools as well as in the Church is very alarming. There is a need to give special attention to these institutions. 5. 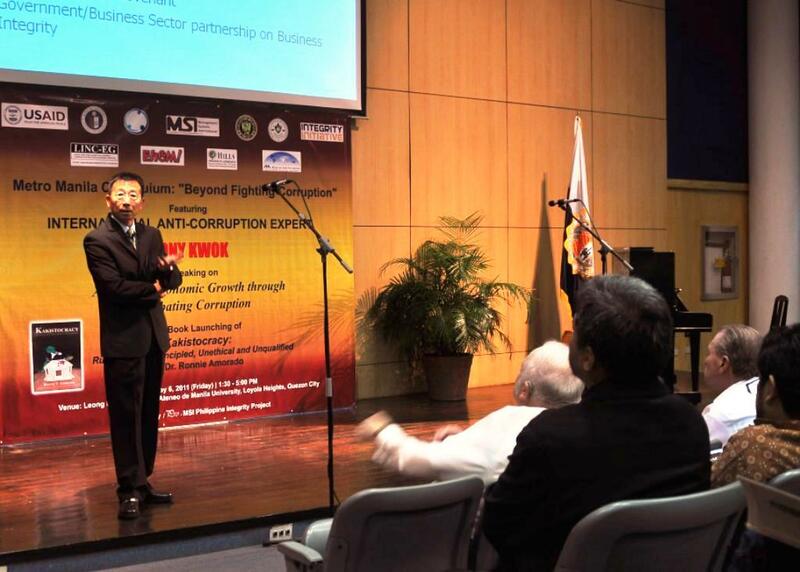 Philippines is recognized for its world-class anticorruption initiatives, but still considered one of the most corrupt countries in the world. The culprits are poor enforcement (lacks will), sustainability, and massive people's distrust, especially to public institutions. 6. 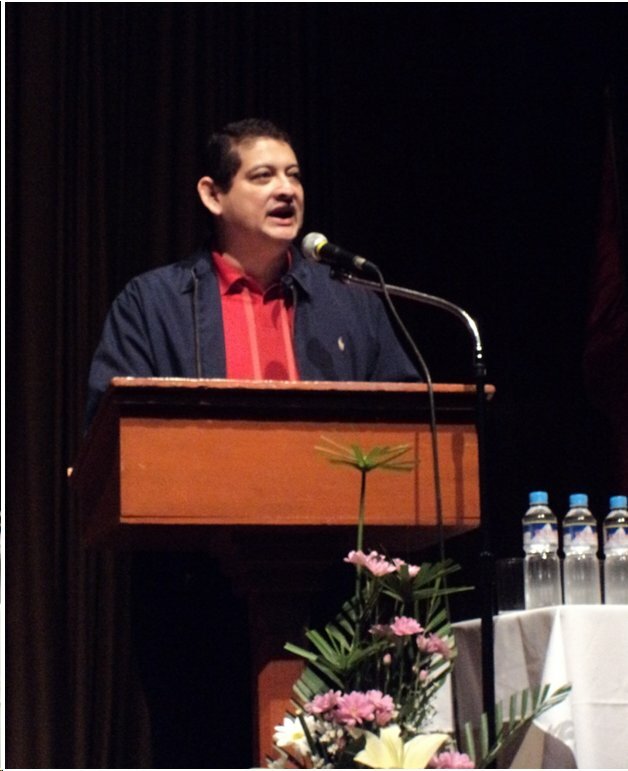 The plea bargain scandal eroded the people's trust in the Office of the Ombudsman and the Commission on Audit. 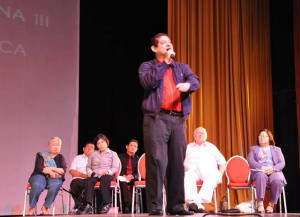 We need more of Commissioner Heidi Mendoza to stand firm and help restore people's trust. 7. Tenure creates opportunity for corruption. That is why it is important to review resident ombudsman system and the resident auditor system. 8. It is everyone's duty to help fight corruption; there is really no need to be a hero because each one is duty-bound. 9. 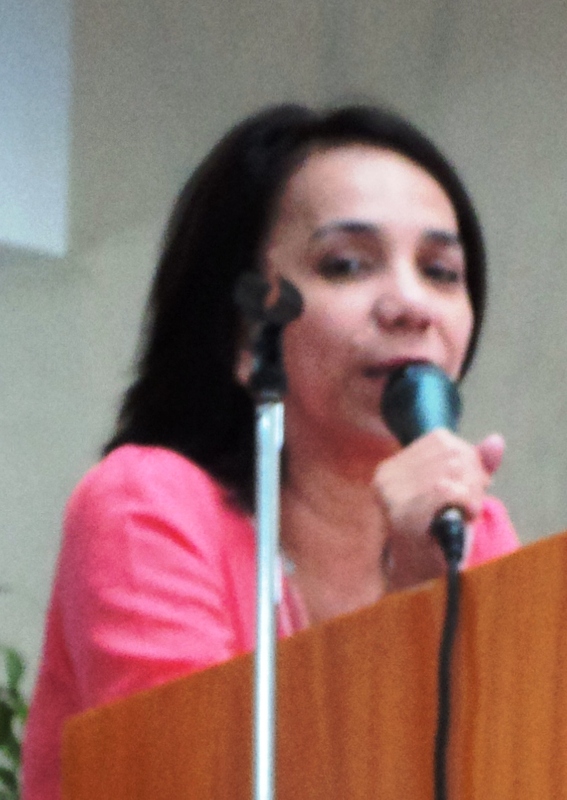 A special message for auditors by Commissioner Heidi Mendoza: "every audit is a mission!" 10. Comm. 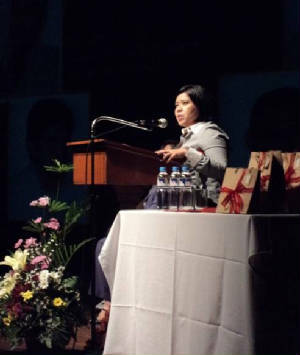 Mendoza also encouraged the public to report to her (by text or email) abusive/corruption auditors and they will properly act on the complaints. 11. 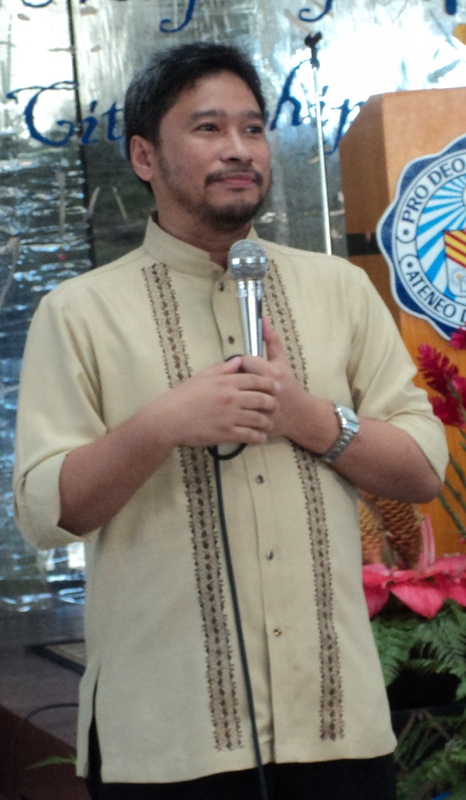 A special message for students by Fr. Alejo: "we are angry when our boyfriends/girlfriends cheat on us, but we tolerate cheating on our exams and assignments." 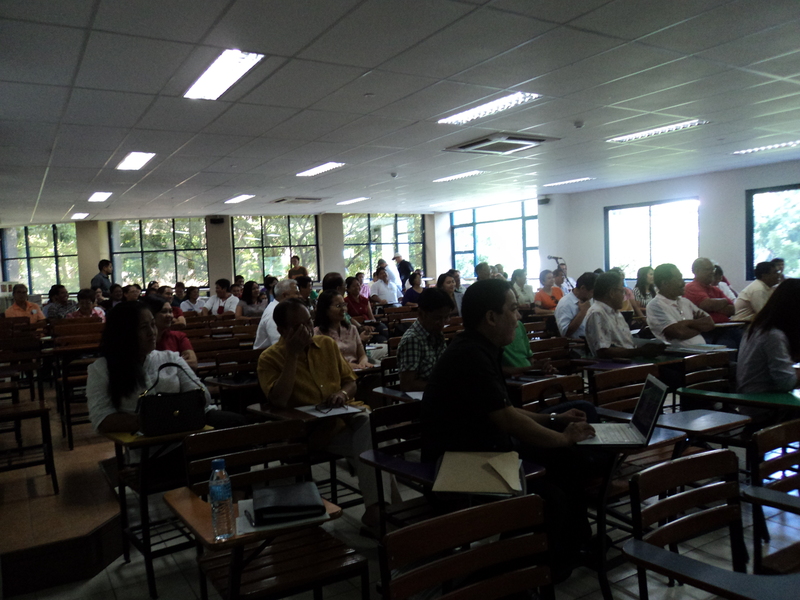 · Number of Attendees: Exactly 200 people came for the event with the majority coming from the government, NGOs, academe and the media. 1) being aware of what’s happening in the government – Abuse on the use of taxpayers’ money is easier when people are not looking. 2) being vigilant by showing public officials that corruption will not be tolerated – Apathy and indifference bring about corruption in government. 3) being excellent in everything that they do to inspire others especially people in government - Excellence is the opposite of mediocrity and corruption is an expression of mediocrity. Ø Some politicians fool themselves when in power believing that the people’s money are their own money and using it irresponsibly. Ø The government has instituted systems to check the widespread corruption in government but unless officials realize that they are just stewards of taxpayers’ money, these are all bound to fail. 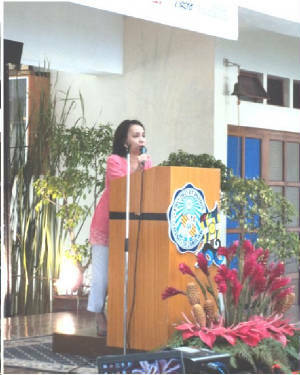 On the other hand, former Isabela province Governor, Maria Gracia Cielo Padaca shared her experiences as a local government official. Ø She described the steps she took to deter the incidence of corruption in her administration. Ø It’s the people’s obligation to elect competent and honest officials. Ø For the public servants, she emphasized that real public service entails sacrifice and if they are not grounded, they can easily be tempted to do wrong. Ø Her advice to everybody is not to get tired of doing good. 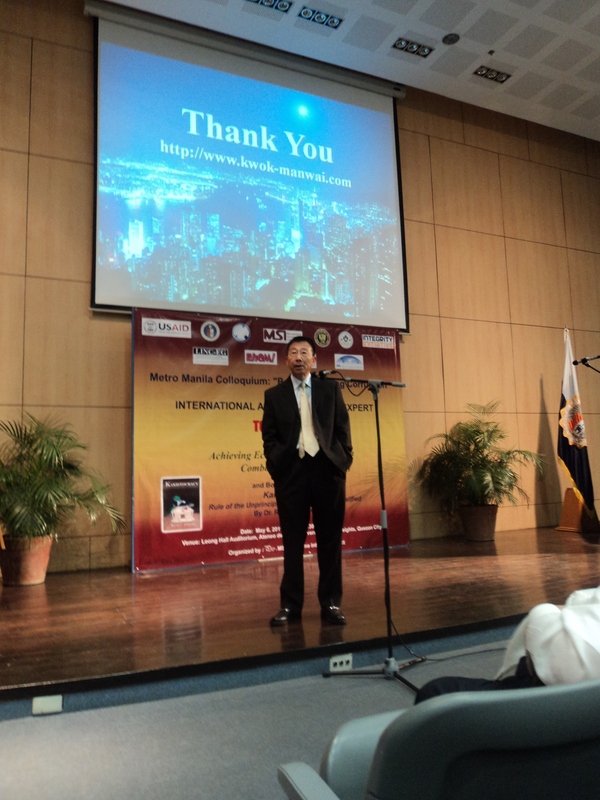 · Number of Attendees: The event was attended by more than 700 students and faculty members, not only from Silliman but from other schools in the city as well.